As part of our series of immigration guides, this guide covers immigration options for potential investors in the United States, immigration for investors. Immigration Guides love helping investors get their business ideas working in the United States. The US regulatory scheme for investors makes sense in terms of facilitating investment in the United States and creating jobs. Most investors start with an immigration attorney rather than a business attorney. Investors recognize that running a business involves work, and any kind of work in the United States requires a visa. Otherwise, the investor would engage in unauthorized employment. Immigration violations like this subject the investor to deportation or removal from the United States. Preliminary Steps: Does the Investor Need a Visa? An investor will usually have one of two reasons to come to the United States. Firstly, the investor may want to investigate the potential businesses to purchase. Secondly, the investor may want to review conditions firsthand for starting the business. If the investor is from Canada – Montana and other border states are very popular for investments – no visa is needed as Canadians are exempt. Investors from other countries could utilize the Visa Waiver Program or the B-1 business visa. Both these programs specifically allow visiting the United States for the purpose of negotiating contracts and reviewing business opportunities. We would normally recommend the B-1 business visa as a better option. This visa allows for a change of status, which will be explained later. What Is the Appropriate Investment Visa? Once an investor has reviewed the opportunities for investing, we can advise on the appropriate visa. Provided that the investor is from a treaty country, for smaller investments, the only appropriate visa is the E-2 visa. Investors with more capital to invest, $500,000 or more, have additional options, the EB-5 Green Card program. The EB-5 program is the only option for non-treaty country investors. When the E-2 investor has negotiated all the details and is in the position to sign a contract, an immigration attorney is now essential. The United States Citizenship and Immigration Services (USCIS) and the Department of State (DOS) both have investor regulations. These regulations govern required terms for your contract. The inclusion of the terms is essential to be successful in the investor status category or visa process. An investor has two options for obtaining the permission to operate the business. Firstly, an investor can file for an investor visa with the US consulate in his home country. Alternatively, if the investor is in the United States in status, he or she can file for a change of status to E-2 investor status. Filing for investment status through a change of status can be a good idea. In theory, the standard for evaluating investor status or an investor visa is the same. In practice, it often seems that the USCIS is more willing than the DOS to give an investor a chance. Therefore, it is often a strategically-better option to obtain an E-2 investor status first. The investor the develops the business for six months to a year. With the business working well in the new investor’s hands, it is time for the next step. We can then re-package the submission to the USCIS or the DOS with the updated financials. In this way, the investor can have the benefit of the investor visa, and the ability to travel. Congress designed the EB-5 investment visa program to provide an immigrant visa for the investor and their family in reward for making a significant investment in the United States that provides full-time employment to US workers. The Immigration Law Guide program has two tiers. Investors making investments in areas where the US unemployment rate is high are offered an incentive of a lower investment threshold, presently $500,000. Otherwise, the investor must make an investment of $1 million. In both cases, the investment must result in the creation of 10 full-time jobs for a period of two years for US workers. While it is possible to obtain an EB-5 investment visa through direct investment, such as purchasing or creating a business that meets the employment goals, the vast majority of investors choose to make investments through regional centers. USCIS approves regional centers to develop projects that meet EB-5 job creation requirements in areas of high unemployment. A regional center can package the EB-5 investor’s capital with other EB-5 investors to finance larger projects, such as commercial real estate development of a hotel or office building. There are more than 800 companies that have filed with the USCIS for regional center designation. Some companies have national projects, while other companies restrict their projects to a single state. No immigration attorney can evaluate or offer an opinion on the financial soundness of the various regional center investments offered to EB-5 investors. However, as the EB-5 investment visa program is over 20-years old, immigration attorneys can certainly evaluate regional center proposals from the viewpoint of success with the USCIS. How many USCIS approvals of the initial EB-5 petition has a regional center investment received? After two years, does the USCIS agree with the regional center that it created the necessary jobs through the removal of conditions process? Has a regional center returned any investment funds to the investor after the investor received their Green Card? Understanding this perspective provides a simple division of labor in helping the EB-5 investor that is interested in qualifying through regional center investments. 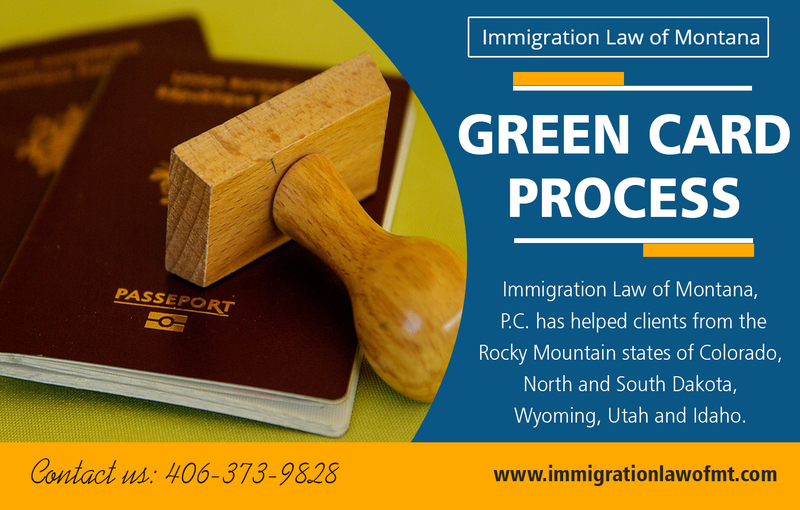 Guide To Immigration Law can provide you with a definitive shortlist of regional centers that have successful immigration track records. The investor can then use their sophisticated financial skills to analyze the proposed investments in a regional center. Once the investor has identified the most promising investment from the shortlist, we guide the investor through the EB-5 immigrant visa process to its successful conclusion. After its approval, we can then help you with consular processing or adjustment of status. A review of this basic guide details available options for attaining an investment visa or lawful permanent residency through investing in the United States. We cannot help you evaluate investment possibilities, but we can certainly help make sure that the immigration portion of your investment delivers your goal: temporary or permanent status in the United States.